Cover Reads: Sorry We're Late. I Had To Make My Famous Homemade Cranberry Sauce! And Then Carefully Sculpt It Into The Shape Of A Can! Inside Reads: Have A Merry Christmas? Yes You Can! 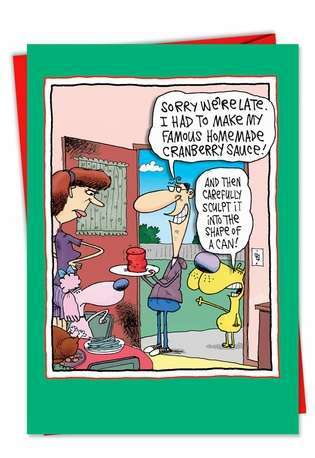 It's hard to pretend that your cranberry sauce is homemade when it's shaped like a can, but that doesn't stop the person in this cartoon. 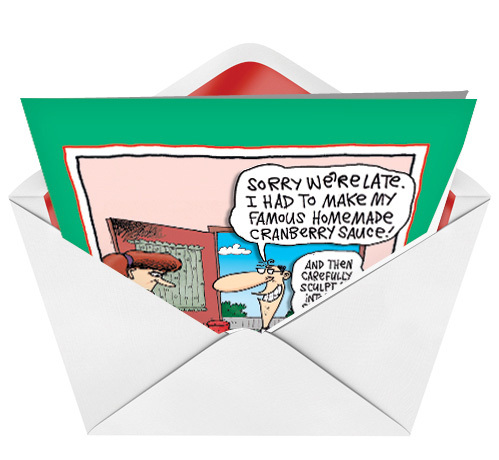 Hopefully you'll be a little more tactful this holiday season. 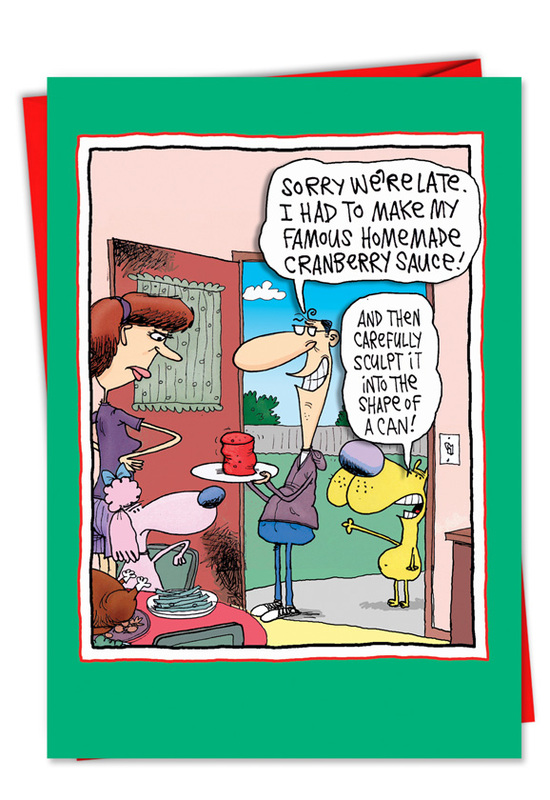 But if you are planning on bringing something can-shaped, maybe you should opt for this cranberry sauce card instead. It is available from NobleWorksCards.com.